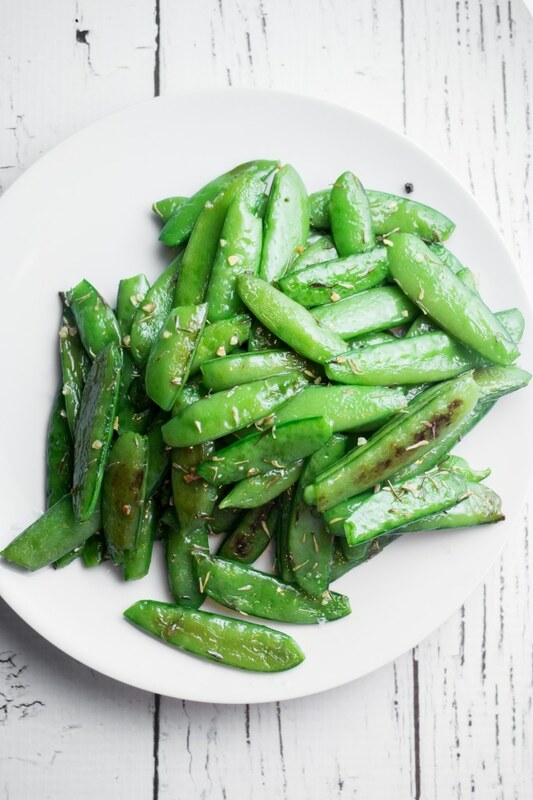 I’m in love with these roasted sugar snap peas! Perfect for dinner or snacking! After you’re done the fun process of removing all the stems from the peas you’re pretty close to a finished meal as these only have to be baked for 7-8 minutes. Not only are sugar snap peas delicious raw (one of my favorite Summer snacks!) but they taste so good roasted too! How do you cook fresh snap peas? They’re roasted with a few simple ingredients, olive oil, garlic, thyme and sea salt. That’s it. You are going to put the sugar snap peas in a single layer on a baking sheet that’s been covered with aluminum foil (easy clean up!). Coat peas with olive oil, garlic, thyme and salt. After they’re mixed up, bake for 7-8 minutes and they’re ready to be eaten! And the result is the most delicious peas you’ve tasted! They make a great side dish to meat or vegetarian meals! Or consider them a “add in”. We love adding them to a big bowl of pasta with some garden broccoli and radishes too! We call this “Pea Pasta” in our house. This is one of our favorite garden meals! 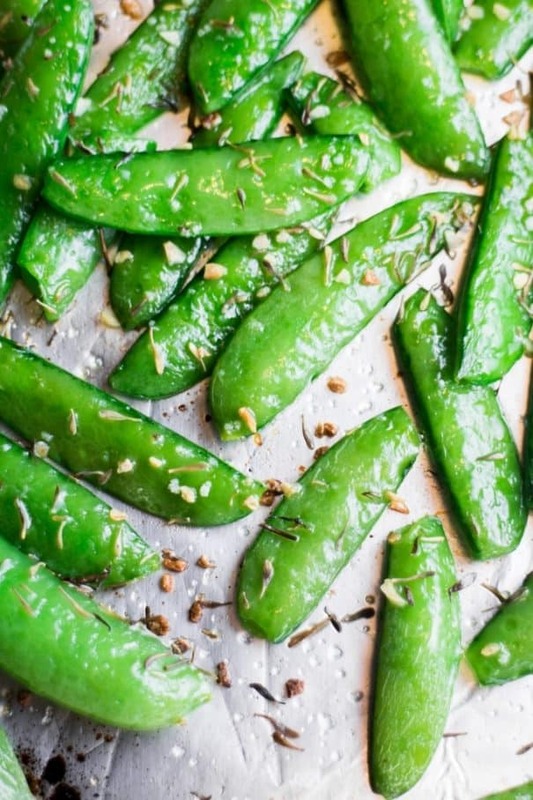 Whatever way you chose to eat these Roasted Sugar Snap peas – you won’t regret it! Enjoy this healthy recipe! Looking for more healthy recipe? Try my Roasted Cantaloupe Salad and Baked Apple Chips! 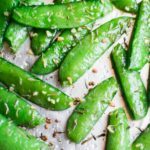 HEALTHY Roasted Sugar Snap Peas are easy to make and ready in 8 minutes! Sprinkle with garlic, thyme and salt for a healthy snack! Adults and kids both love this easy delicious pea recipe! 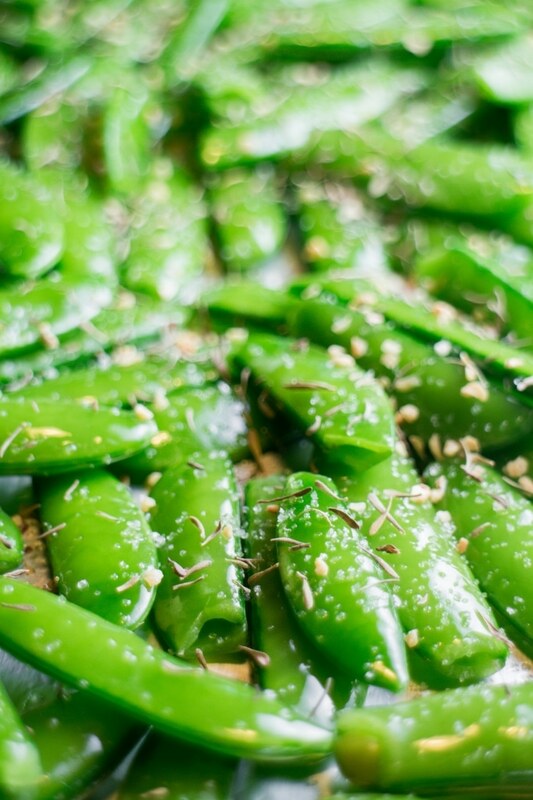 Put sugar snap peas in a single layer on a baking sheet covered in aluminum foil. Coat peas with olive oil. Sprinkle garlic, thyme and salt on peas and mix around so coated. Serve as a side dish, or add to a bowl of pasta! Your peas are gorgeous! I love how simple yet how delicious this recipe is! I made an orzo salad wih snap peas the other day, but I really wish I had some of your homegrown ones – they look so green and fresh! These look delicious and addicting! I can see myself eating this whole lot 🙂 I think I’ve only had snap peas in rice dishes. I’d love to have so many fresh ones in my backyard! Gimme, Gimme, Gimme, this is perfection!! I love sugar snaps, usually just eat them raw but I love the idea of baking them. They look fab!! Love this recipe, Pamela! For some reason, I never liked snap peas as a child but I really do now. That crunchy sweetness is so good. I love this idea of roasting them – kind of like blistered green beans that I keep reading about but you get to do it easily in the oven. 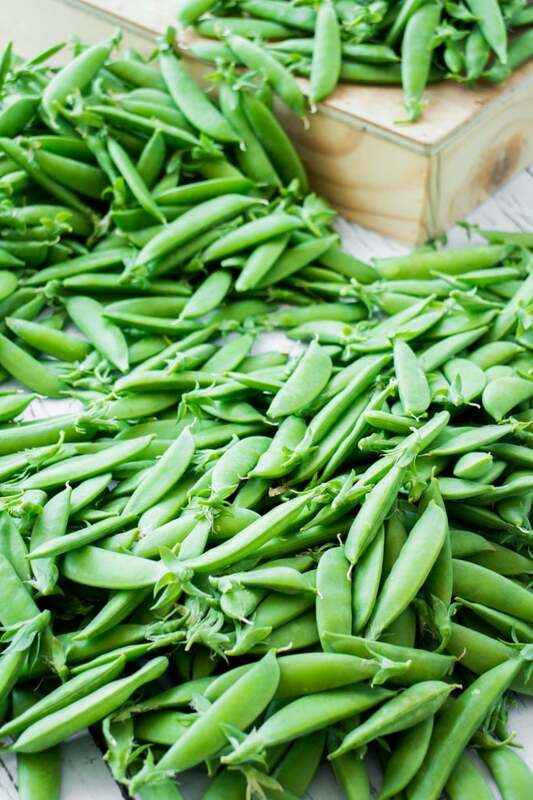 I need to go get some snap peas – hopefully the farmer’s market could have some on Sunday. What an incredible recipe, Pamela! I never thought to bake snap peas, so this sounds amazing! This looks delicious! Is it bad that I don’t take out the string because I’m lazy? I love to eat them raw too 🙂 I bet yours are incredibly sweet! These look so good! Lulu adores snap peas. I can’t wait to make these with her! These peas look delicious! I love baked/roasted veggies – they always turn out so yummy. But, I’ve never had baked peas before – great idea! 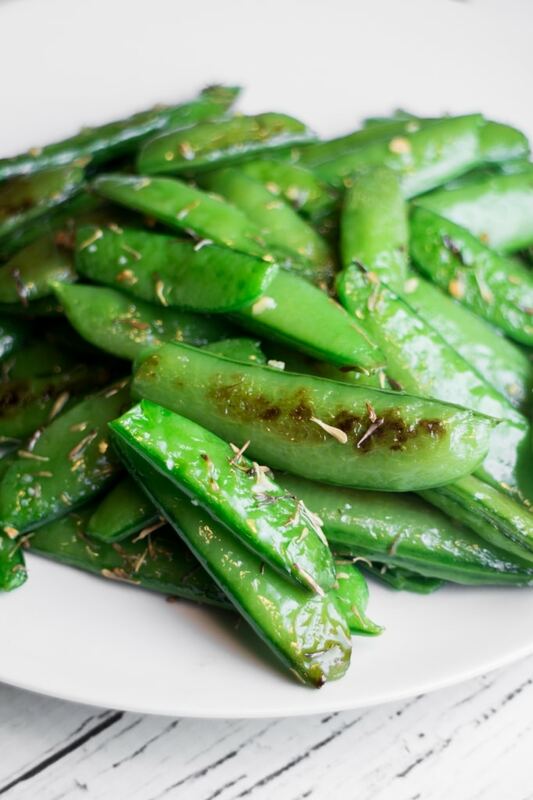 Snap peas are one of my favorite veggies to snack in! I just love the crunch when you bite into them, but I have to tell you Pamela, now that I see them with all the spices and in that baked goodness, I can hardly wait to try them that way! It looks amazing. Pinned! Oh my gosh, these peas look SO good, Pamela! 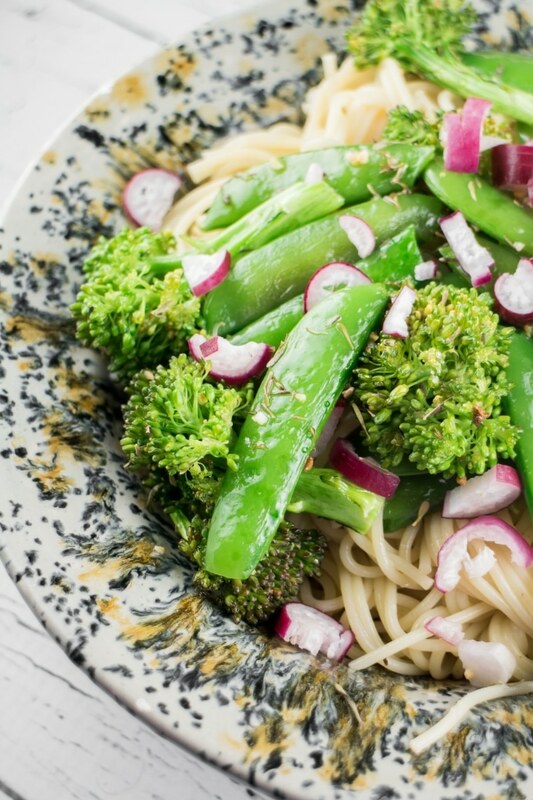 I’ve never even heard of roasting sugar snap peas before, let alone tried it! Something tells me I’m gonna have to change that. These look absolutely gorgeous! 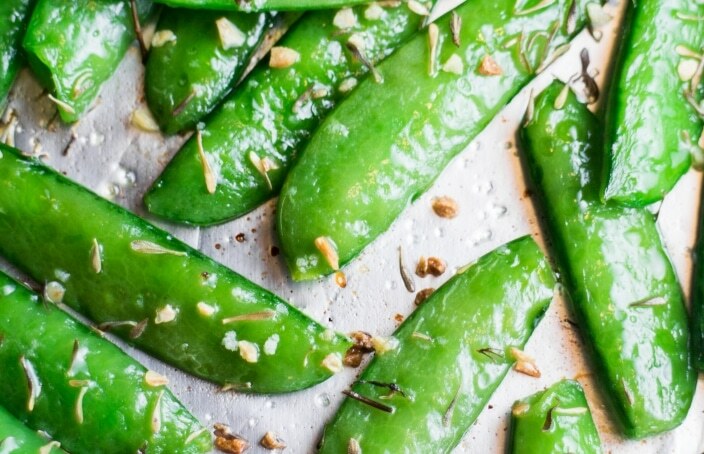 I love sugar snap peas, and these look delicious! I could eat that entire bowl! Looks delicious. Love sugar snap peas. My mouth is watering over these gorgeous snap peas! 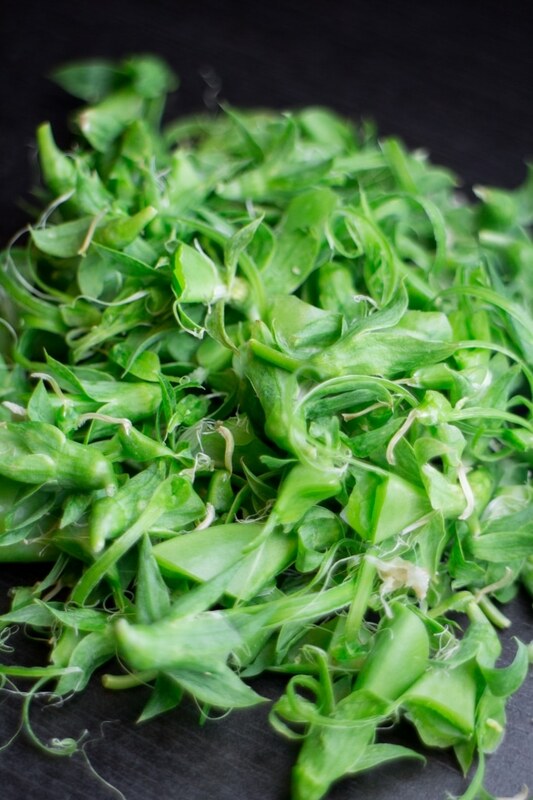 I love eating snap peas raw or cooked and yours look amazing and so so fresh! Stunning photos too girl – I feel like I just want to pick up a few snap peas straight from the screen! I love sugar snap peas and these look awesome! And they are just so pretty – love that bright green color! 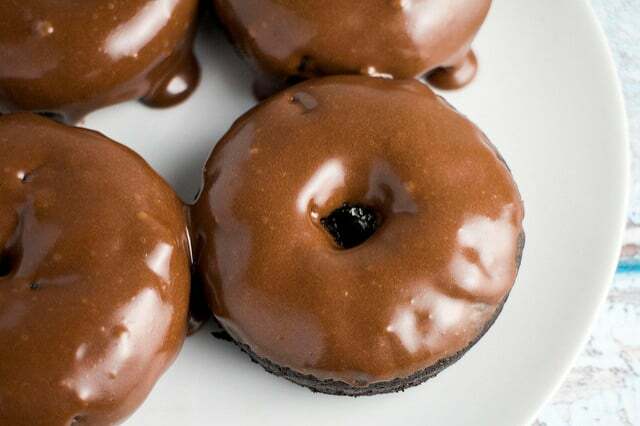 Yum, these are one of my favorites! I love the recipe too! These peas look so yummy. I remember as a kid I would open the shell and only eat the peas but now I absolutely love the entire thing. I have to give this recipe a try. Would love for my daughter to love it too. I’m LOVING this recipe Pamela!!!!! I love how you grow your own food and that inspired me to start my own small garden hehe! Nothing big, just a bitter gourd plant! I feel soooooo good looking at those tiny bitter gourds clinging on to the flower! <3 These sugar snap peas look INSANELLLLLLLY delicious!!! So perfect for evening snacking when I tend to crave a lot of savory stuff! 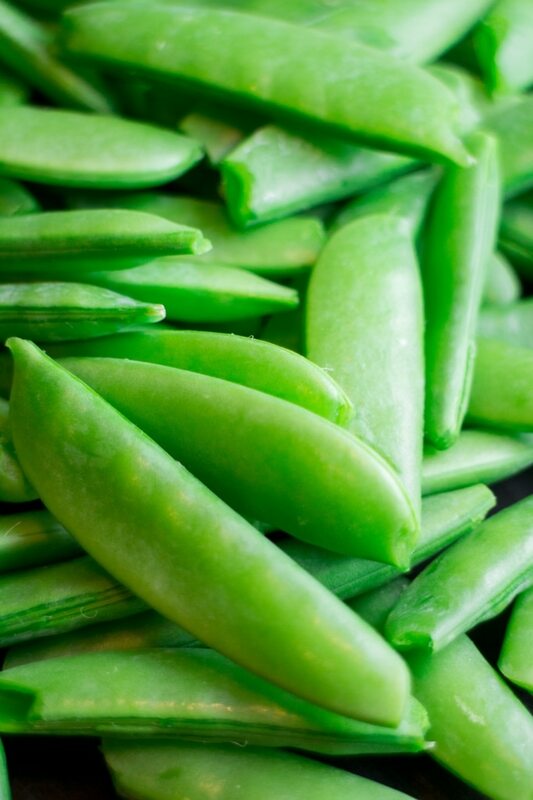 we love sugar snap peas! they are so tasty and crunchy! could you use frozen in winter? Excellent side dish. Purchased some fresh from the farmers market. I followed the recipe except I used basil (dried). Delicious and very healthy! Thanks for letting me know you enjoyed the recipe Sandy! Hey Anne, thanks for letting me know you enjoyed this sugar snap recipe! I bet they were really delicious coming straight from your garden!